September is the month of new starts, of a fresh academic year, and an unmistakeable feeling of a nice clean fresh sheet of paper set out in front of you ready to be filled with plans. Our metaphorical paper has been filled, to the point of scribbling in the margins in tiny writing, and it feels a world away from the long gentle days of the summer. Work has been busy as everyone comes back from their holidays and starts getting stuck in with a back to school vengeance, and at home Kitty is loving her first term in her new school, and Elma’s only regret is that preschool doesn’t last longer. Pip is getting used to having Daddy all to himself, and John is getting used to Pip’s incessant requests to “play hockey Daddy!” at all times and in all places. Our days are full and the weeks seems to be zipping by at a vast rate of knots. These pictures sum up September in more ways than one – the platform that the children are standing on is the base and balcony to their new playhouse. It was Pip’s birthday present from an assortment of family, it arrived in early September, and when it’s finished he and the girls are going to absolutely love it. So far H and I have made the base, and despite intention after intention to get it finished it just has’t happened yet. Hopefully we’ll have lovely weather this weekend and we can spend a bit of time getting it all up and organised and watertight before the rain really comes. 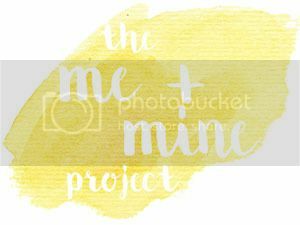 The busyness has meant that taking our Me and Mine pictures this month required a bit of effort, and more, than that, a continuing serious commitment to the project. We had days of lovely weather but we were all busy, or not all home, we had days when it rained and we were home but one of the children was out of sorts and not even slightly interested in taking photos, it’s been too hot, too sunny, too dark, too rainy and too much to try to organise while the children were distracted visiting family. I’ve never missed a month since I first started this project, more than three years of watching our family grow month by month, and I just couldn’t bear the idea of not having a picture for September. In the grand scheme of world peace and things like that it’s a silly nonsense sort of thing, what does it matter if I skip a month? But silly or not, these pictures, this whole blog in fact, is an expression of my love for my family. It’s my gift to them that when they’re all grown up they can come back and read about just how muddy they used to get as little kids (clue: very! ), or that the only way we could persuade Pip to stay on the platform while I ran back and forward to the camera was by putting a hockey stick up there with him. And so at the end of a working day we rallied the troops, bribed them with jaffa cakes, and set up the camera. Pictures from our garden, pictures that I’ve taken in some form or other a hundred times before, pictures that for all the effort required, neither John nor I would be without. It’s been a while since I had a quality out-take but I couldn’t resist this one – having taken pictures with each of the three children held across us, we thought we’d try with Daddy …! 4.30 am we arrived Folkestone, having left home two and a half hours earlier, and last slept the previous morning. We may have missed using the lounge and the wifi (and the complimentary croissants), but as the only people in the flexi ticket queue, and one of only a handful of cars lining up for the 5.45 crossing, we did get to be the very first people on the Shuttle, and when you have three little people in the back seat, who have been wide awake since the midlands because they are just so excited about finally getting to go on holiday, getting to drive down the length of the train is just about going to make your day. I’d love to tell you about the crossing, but truth be told this is the point that the not sleeping combined with the motion of the train knocked us all out for most of it. I was just about awake when we got to the other end, but as soon as I’d got John on the right road out of Calais, I yielded to the siren call of the pillow, and next woke up a good hour later in Arras for a breakfast stop and my turn to drive. And that’s how we spent our first holiday day, swapping between driving and snoozing as France rolled away behind us, until it wasn’t France anymore. The borders in Europe aren’t usually much more than a road sign, but the moment when the signs for sortie turned into auchfart we finally started to allow ourselves to get excited about arriving. We made it to our campsite in Germany at around 4.30 European time. Tired, hungry, a little stiff after sitting in the car for so long, but so very very happy to be there. We pitched camp just above the stream, cooked supper as the last of the sunshine slipped away over the hill, and with one last look up to the hills around us, fell fast asleep. The plan had always been to get to Enzklosterle as fast as possible, and then have at least one day where we just stayed in the village to recover so our first morning involved porridge for first breakfast and then a happy meander down into the village for second breakfast at the bakery. Warm pretzels, pastries and a gallon or two of coffee for John is exactly how all holidays should properly start. From there we took a path up the hill behind us; Enzklosterle is nestled in the crossroads of two valleys and the hills all around are laced with cycle tracks, and occasionally slightly lost cyclists. We took the low road, but even that revealed a beautiful view of the village, and sight of what we were oblivious to last year, the grassy swathe cut out of the far hill to be the village’s ski slope. Up on the bike tracks, sitting in the brilliant sunshine, and hearing the whisper of the trees around us, I breathed out properly for the first time in ages, and we all began to relax. Crazy as it was, that long drive was worth it. If last year our Black Forest exploring centred around the towns and villages, this year it was about the trees. We set off one morning with a rough guide to a circumnavigation of the forest courtesy of a campsite leaflet, and after a little detour a bit too far south, when serendipity found us not only a supermarket but a supermarket with a bratwurst stand outside just as we hit lunchtime, we found ourselves curving around mountain roads and driving down avenues of impossibly tall trees, wending our way through the valleys . And our patience paid off as the forest offered up some stunningly beautiful views. We stopped at Ruhestein where our guide suggested a walk out to Wilder See. It would have been beautiful I’m sure, to see the lake tucked so far away and out of reah, but little legs weren’t quite long enough this year, so we just drank in the hills, the cows in the pasture clanking their bells as they grazed, and what was to us the incongruity of being in a ski resort without a flake of snow in sight. I know that most places in the world that have similar summers to the UK, tend to have a decent dump of snow over the winter. Protected by the gulf stream we don’t go in for extremes of temperature, and I think it conditions us to expect that snowy places have to be cold enough to keep the snow all year round (the top of Gornergratz for example! ), and anywhere that’s as warm as home, can’t possibly get more than a few flakes. The woodstores stacked up by every house in the area would tell you different, and while not quite as pointy as the alps, the Black Forest has a decent ski season. Even when we knew, when we could tell ourselves that in winter the whole forest would be under a blanket of snow, my default setting would be “where are the mountains for all these ski lifts?”. From Ruhestein we headed along the Schwarzwaldhochstraße , literally the “Black Forest High Street”, and a great example of the joys of German as a language that produces quite impossibly long words, pausing where we could along the side of the road to look out over the foothills, and there all the way out on the horizon, the hills that mark the beginning of France. Mummelsee, tucked into the top of the hill was very much not what I was expecting. When our little leaflet said lake, I thought of coming back down to the bottom of a valley floor, and a lake fed by streams cascading down the side of the hills, but the Black Forest likes its lakes right at the top, and we were surprised to come across Mummelsee at one of the highest points of the road. It’s a funny little place, no more than a pond really, and nestled so closely into the rock that you could easily drive past it but for the tea shops and tourist traps. The path around the edge takes you away from the grockle shops and the pedal boats and the man dressed up as Neptune, and becomes a beautiful walk through the trees while the lake sparkles at you in the sunshine. Mummelsee has mermaids in the same way that Loch Ness has a monster (hence King Neptune), and at the far end of the lake a full size bronze mermaid keeps watch over the water, and over anyone who chooses to paddle out to sit with her. I think the girls would have happily spent hours pottering around at the water’s edge or running up and down the path, and despite all the people visiting, it never felt too crowded. Last year we ate Black Forest Gateau in Baden Baden, and I was determined that this year we would again have Schwarzwaldkirschtorten in the Schwarzwald, and therefore make it a tradition that must be adhered to on every future visit, and my chance came at Mummellsee. The cake came a mile high and a yard wide, and while completely delicious, two slices more than fed the five of us. It was the fulfilment of a wish and one of those moments where I wanted pinch myself that this was really happening, not just that we were sat in a beautiful spot eating cream cake, but that we travel at all. It takes a certain amount of adventurous spirit to decide to take three small children camping and travelling around Europe, and I’m sure that there are holidays that we could go on that would be easier, but I don’t thin they’d be quite the same. Part of the joy in the moment comes from knowing the amount of work we put in to make it happen, the cake only added to it. It’s true, our littlest of little people had exhausted even his father’s insatiable appetite for beating up the furniture and digging up the lawn with stick and ball, to the point that when he was actually supposed to be heading out the door to training, it had very nearly lost its appeal (he still went; it wasn’t that bad). But where Pip is concerned, there’s no such thing as too much hockey. He will come running up to anyone he can find to give them a stick and a ball and implore them to “play hockey?!”. All day, everyday would still not be enough for him. And probably as a result of all that practice he’s pretty good. I think he’s got more hand-eye co-ordination at two than I have ever had, and he can give the ball a proper whallop and send it singing its way down to the end of the garden. Club day was his idea of heaven. He watched hockey, he played hockey, he ran around with some small friends, and he ate a strawberry ice cream while watching rounders. Hannah Macleod, Olympic Bronze Medalist from London 2012 and a key part of team that swept to gold medal glory in Rio, came to club day (along with the medals) for a little Q&A and a lot of photos. She is phenomenally dedicated and driven, and it was hugely inspiring to hear her speak, and appreciate just how much hard work and sacrifice goes into those medals. We tried to explain to Pip that this was the lady off the telly, the one he’d cheered on with shouts of “Go Hockey!”, “Go England!” and just occasionally “Go Warwick!” but I’m not sure he quite made the connection. I hope that one day he’ll look back on these pictures and be glad that we tore him away from all the running around, just for a second. I hope that all three of my children acquire the lifelong love of sport that their father has. It may be no more than a bit of fun for them, but if Pip could give voice to his life’s ambition right now, I think he’d quite like her job. Kitty: Perched up on the fence at the sports club, and looking every inch of your six years. You’ve enjoyed every minute of your birthday celebrations this week, and we’ve loved watching your anticipation and enjoyment. Elma: Hunting for pirate treasure and finding a Hobbit house instead; you had a wonderful time running around the very beautiful Whitlenge Gardens at your friend’s birthday party, and there was so much to look at I’m not at all surprised that you were more interested in knocking on the fairy doors, talking to the fish, and generally running around after your friends then in amassing a serious horde of pirate treasure. You do however have musical chairs nailed, only loosing in the final round to the birthday girl’s very much taller older brother, and thrilled that it meant you got a sweetie. Pip: What can I say, other children try to open the raisins, or the sausage rolls, or the bagels, but you, you started to eat an orange pepper while your Daddy’s back was turned. Little monkey, you do make me laugh!